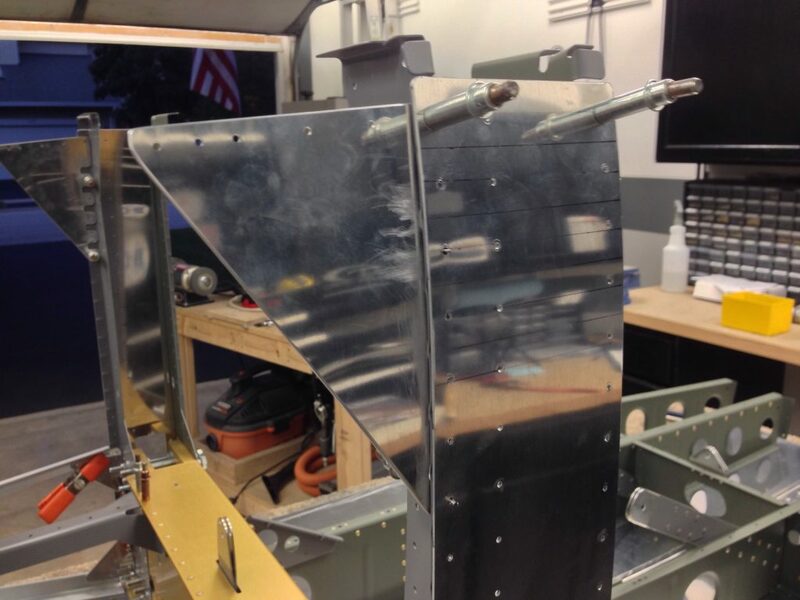 There are 4 longerons, aluminum angle, that run along each side of the aircraft. These structural angles tie all the parts together and create an incredibly strong substructure. On each side there are a lower longeron running from the firewall aft to the center section at the bottom of the gear tower weldements. A mid longeron that runs the same length on the top of the gear tower weldements. 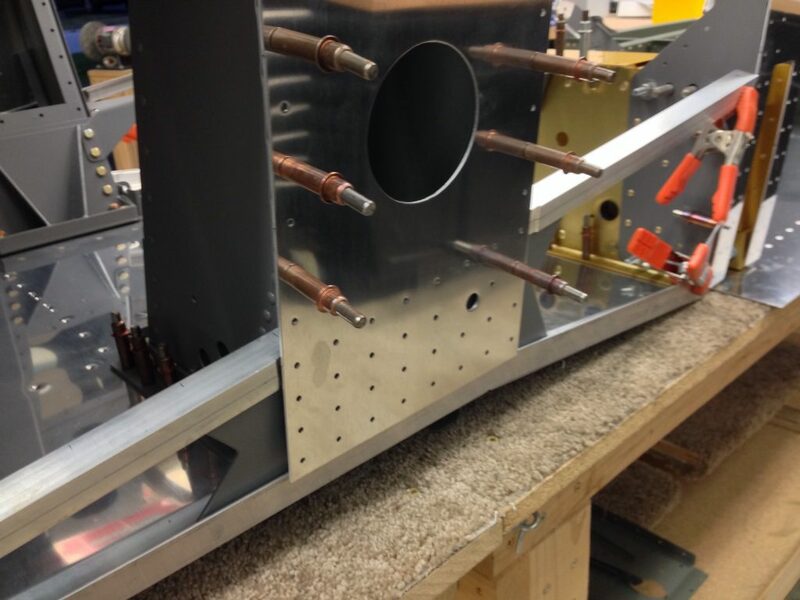 A upper longeron that will run from the firewall to the tail cone and a aft mid longeron running the length of the tail cone. The lower forward is the first up and comes with a bend already in it for the bend in the floor. You have to create a couple twists, one at each end as well as spreading the angle at one end open. 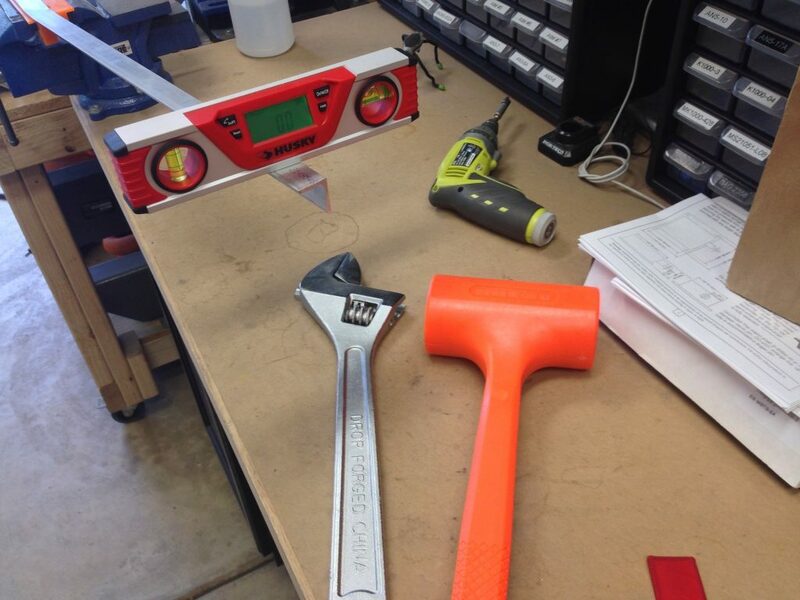 Van’s gives you the angles in relation to 90° to make the twists. I bought some bench vise jaw protectors that are plastic and have magnets to hold them in place. 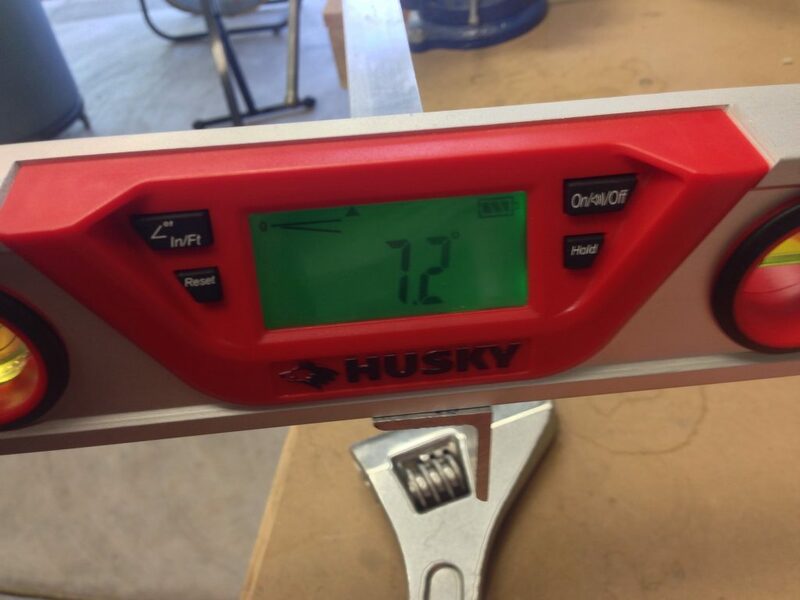 I also bought a 4lb dead blow hammer and a 15″ adjustable wrench at Harbor Freight. 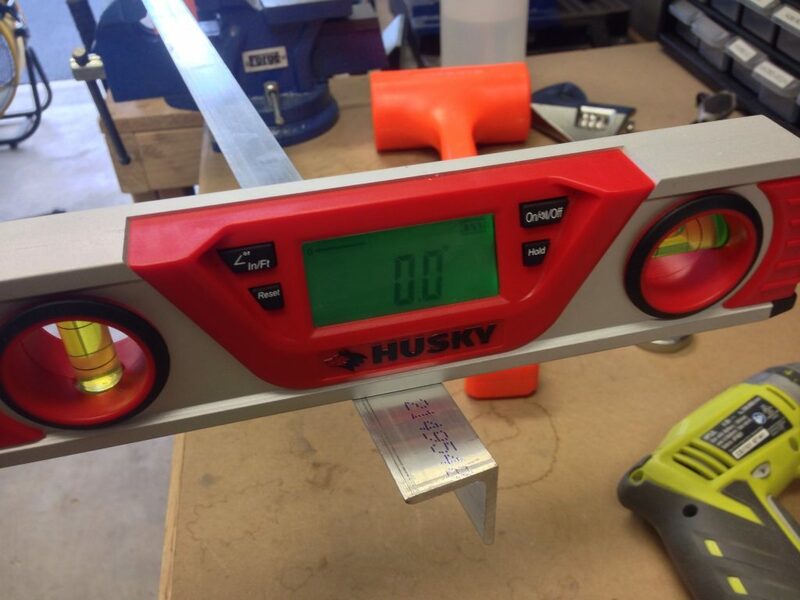 The first bend is on the forward end at 7.25° off of 90°. 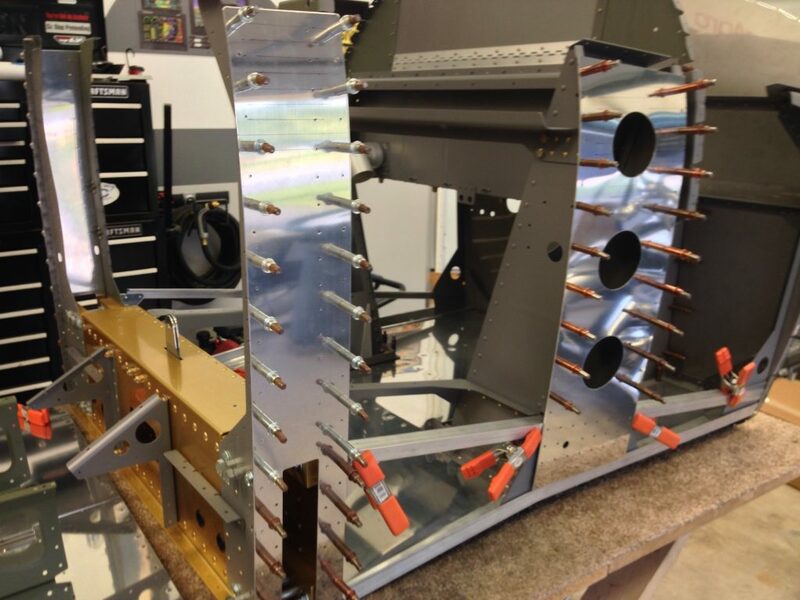 You then place the aft end, open face down, on the cement floor and use the dead blow hammer and hit the vertex of the angle and essentially open up the face and increase the angle. There is a guide on the plans for the correct angle and I just kept at it until it was perfect. 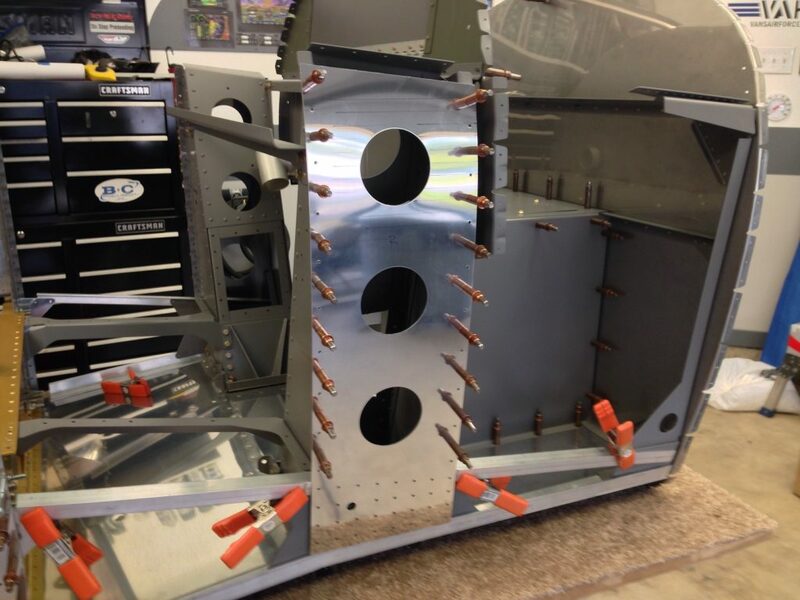 Now you can put the twist in the aft end that you just opened up. It is in the opposite direction at the forward end. After a few trial fits and a little bit of tweaking I got the left side just right. I repeated all those steps for the right side. 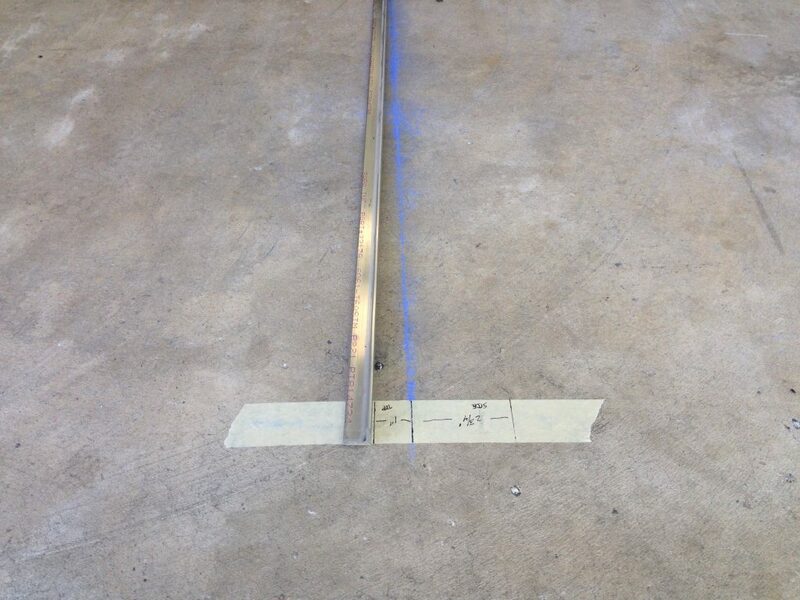 I then moved to the aux middle longerons, they just needed a little curve placed in them. I didn’t take any pictures of that process but just used the bench vise and a little pressure at 2″ increments to make the bend. 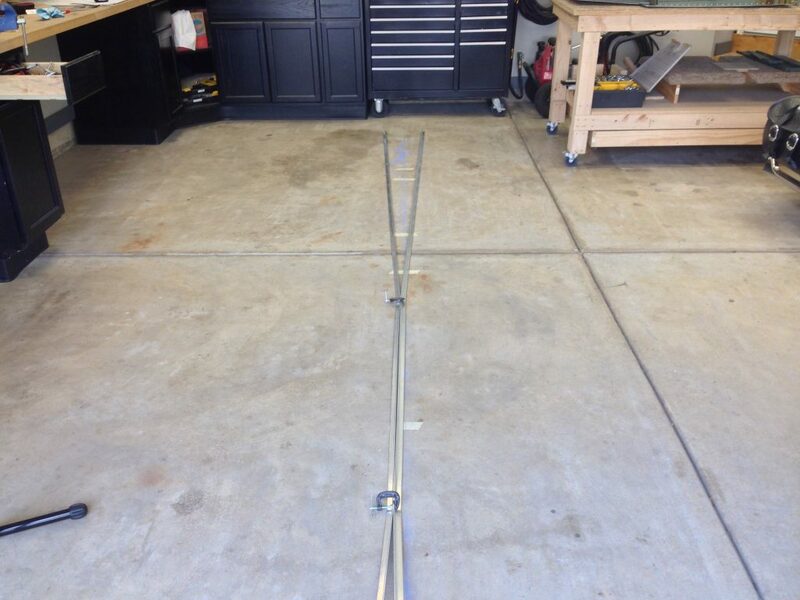 I then grabbed the 15′ long longerons to do their bends. There are 4 bends that need to be done per longeron. 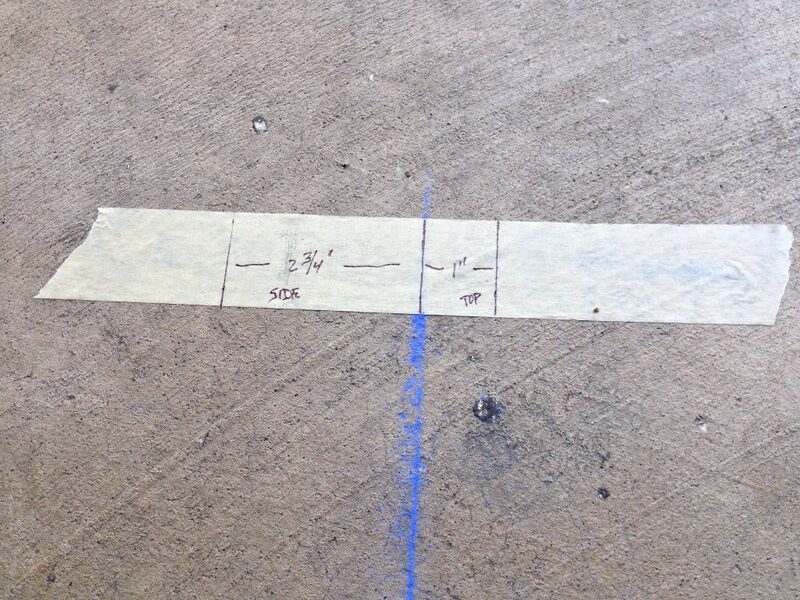 There are 2 reference spots measured from the forward end. At each of these spots you have a bend in not planes, horizontal and vertical. 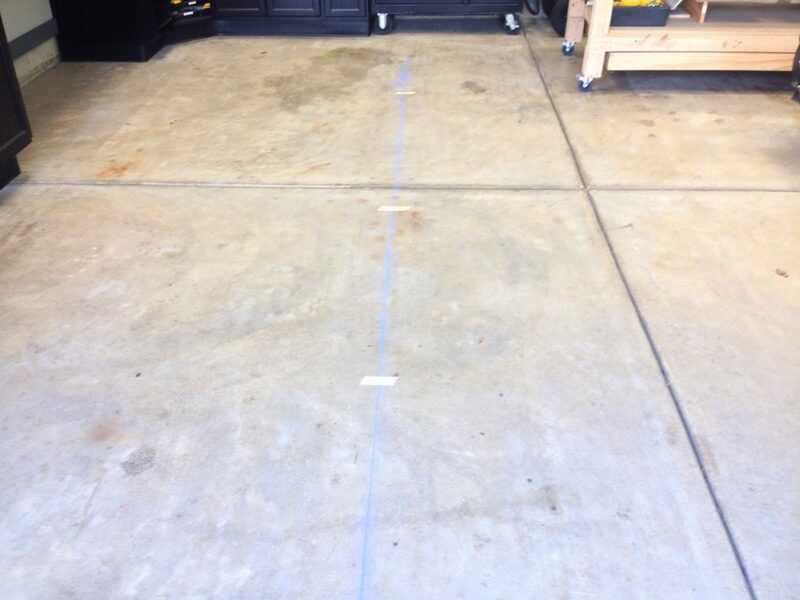 I laid out a chalk line on my garage floor and used tape to make some reference lines. At the end I used tape to make 4 different measurements from center that represent to amount of deflection for each of the 4 bends. I used the bench vise and my dead blow hammer to make all the bends. I worked in small increments and checked my progress. 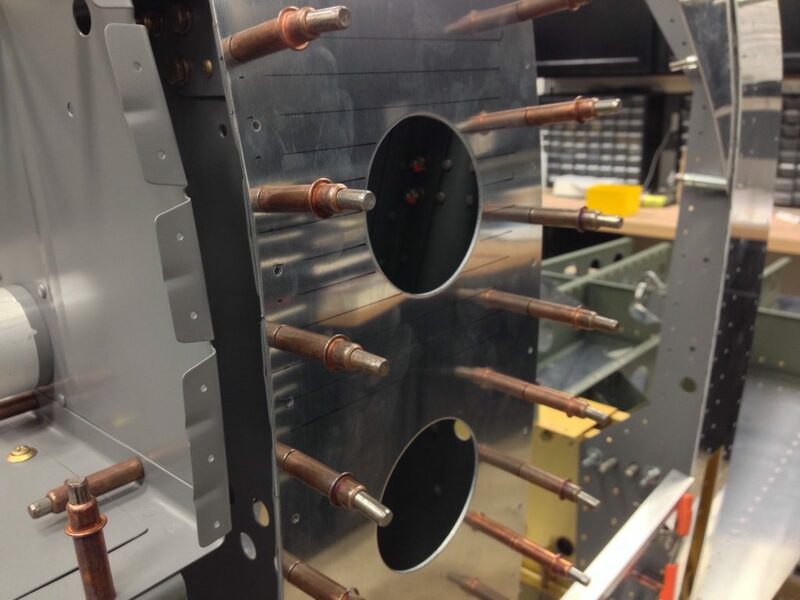 All in all I think they turned out good and will tweak them as needed as I install them with the aft tailcone bulkheads. 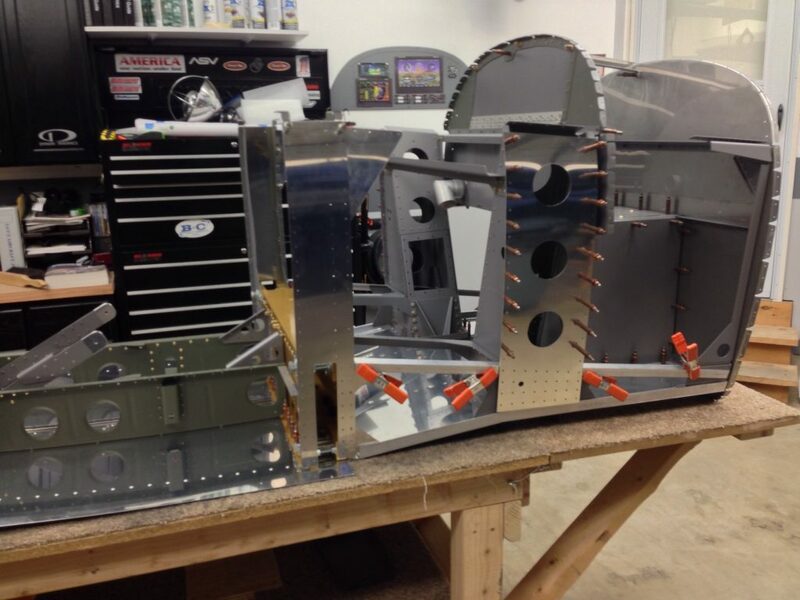 There are plates that cover the outboard edge of the center section bulkheads and the gear tower. 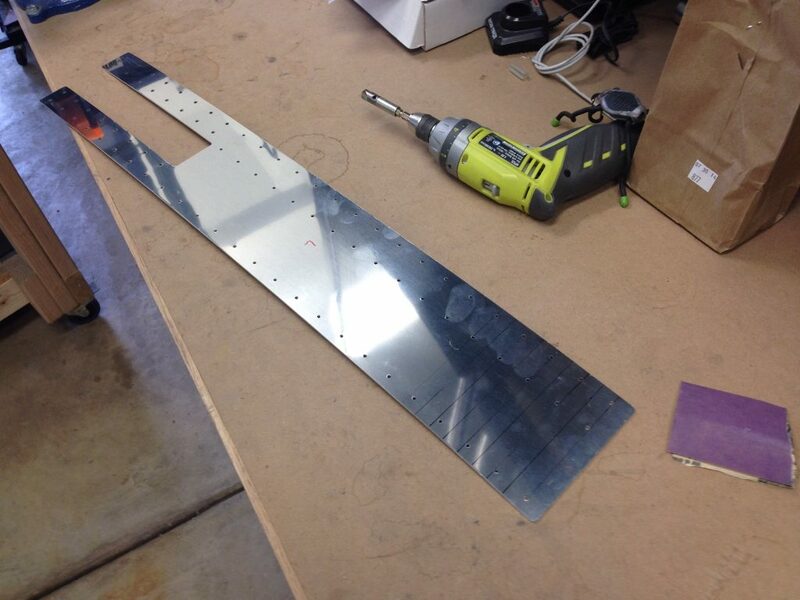 You need to curve the top of these plates to match the curve of the bulkheads. 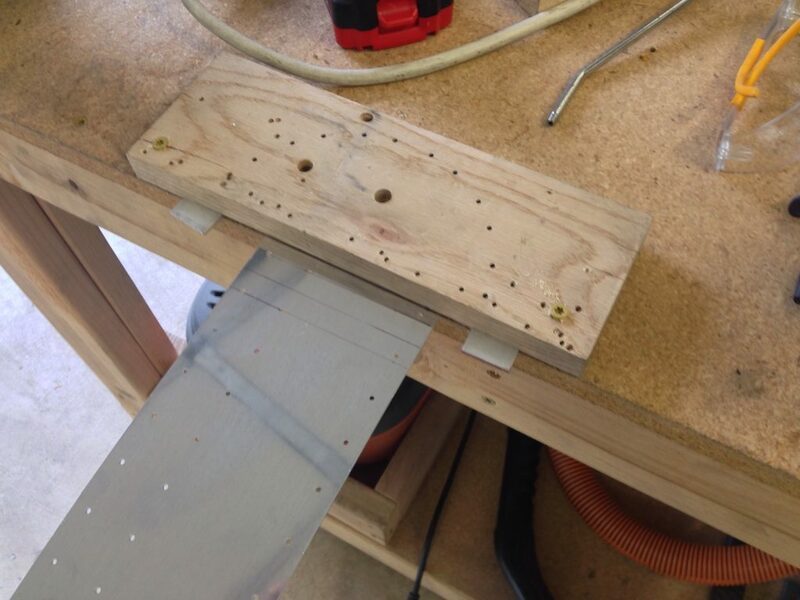 I used a piece of oak 1×4″ wood and two 1/8″ aluminum pieces to create a bending tool. I placed all the plates in place as well as the 4 lower gussets and the 2 larger upper gussets, which needed curving as well. 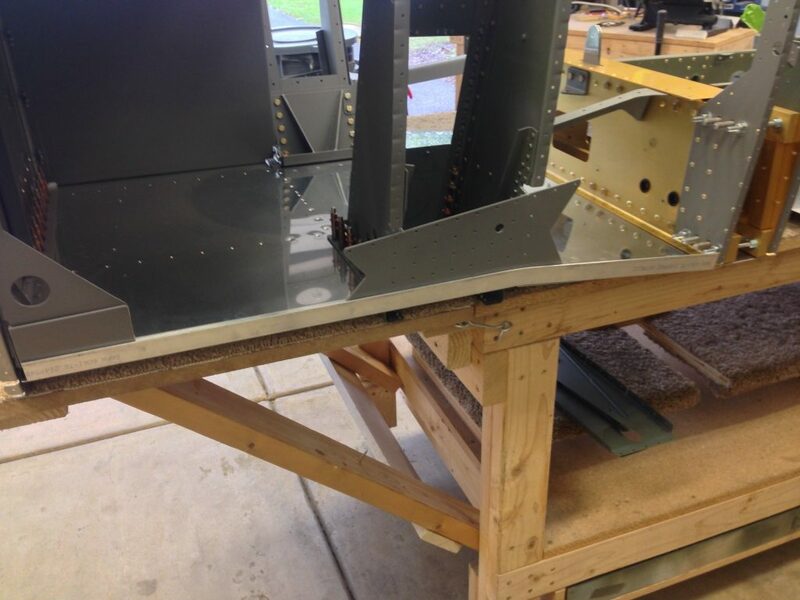 I then clekoed the forward section, center section and seat substructure to each other. That’s where I stopped today, another great day in the Hangar. 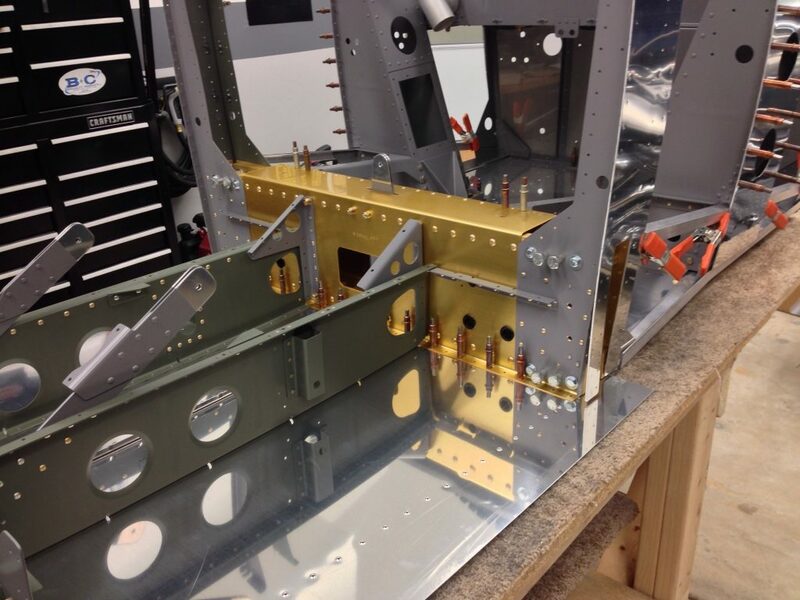 On a side note the RV-8 is not the only thing requiring metal work lately. 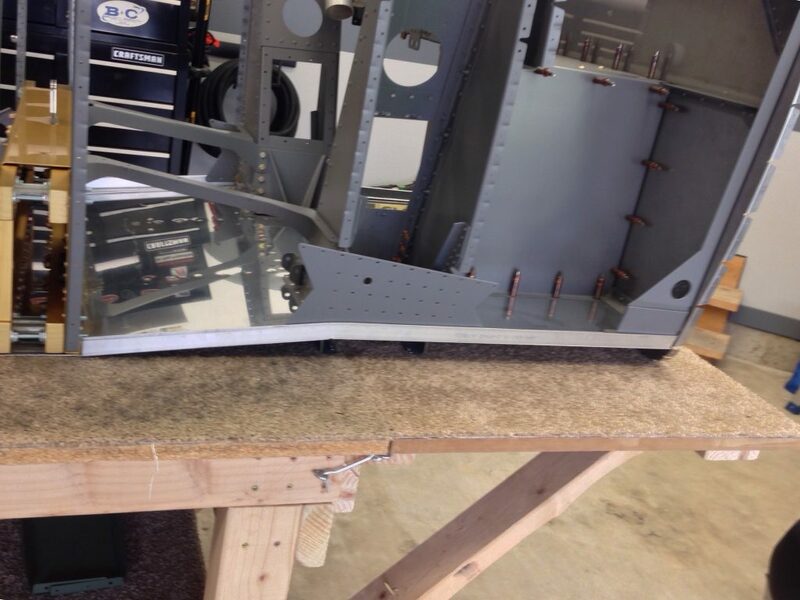 While on my 3 day trip to St. Louis I was putting the engine covers on our Lear Jet 45 when I struck my head on the underside of the left engine on a oil drain tube the size of my pinky finger. After running my hand on the freshly made ouch I realized I was bleeding pretty good. 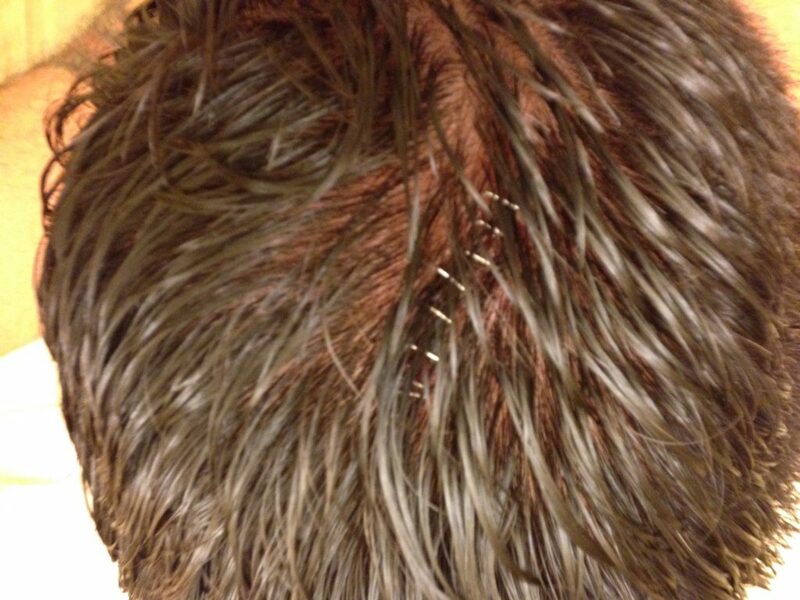 Low and behold I had a 2″ laceration on the top of my noggin. 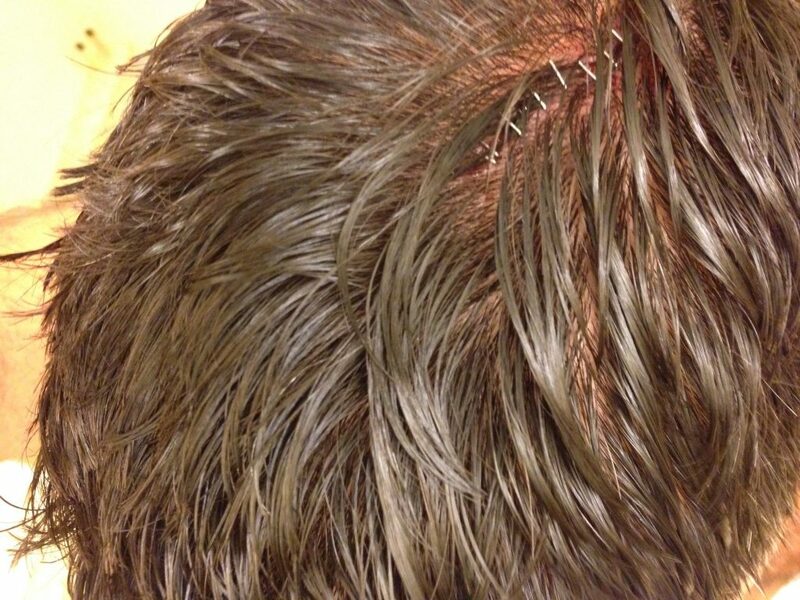 This required 9 staples to repair and a stupid painful tetanus shot.